Most of us have heard about Omega-3’s and just how dearly loved they are in the wellness community today. Recent findings about all the conditions that Omega-3’s may benefit, may be found at this link to our friends at Greenmedinfo.com , who have as usual, done an outstanding job of compiling some of the best findings on Omega-3s health benefits. But I have another little treasure from the sea to share with you and bring to everyone’s attention which I have been investigating and taking now for over three years! My research tells me it outclasses every source for Omega-3 known today! And it’s called the Greenlip Mussel (perna caniliculous)! I want very much to explain why I say that the marine lipids from GLM are the best there is and just exactly what is a Greenlip Mussel, but before we go there, lets address the elephant in the room, and that is what about our vegan and vegetarian friends who are looking for the benefit of Omega-3s from vegetable sources such as Flaxseed/Nut/vegetable oils? Please read on. The number one problem with any vegetable oil or nuts such as walnuts, and most fish oil as well is rancidity. Once flax oil is extracted as an oil you will always find it in the refrigerated section and often the capsules are there, too. But what happens once you open the jar? Veggie caps may not be sound enough to prevent rancidity. This is a big problem for flax and the omega 3’s that comes from other plant sources as it is classified as an ALA (alpha-linolenic acid) oil, which is thought to be then converted by your body into DHA (docosahexaenoic acid) and EPA (eicosapentaenoic acid).The point in the flaxseed oil versus fish oil debate is based on the fact that flaxseed oil, needs to be converted by your body from a short chain fatty acid into a long chain fatty acid so therefore your body needs to take an extra step to convert the DHA and EPA from the ALA using enzymes. With fish oil, the EPA and DHA are already there. However there are some people we have learned that don’t have the necessary enzymes to get DHA and EPA from ALA at all, rendering the flax oil totally useless for them with the exception of some trace mineral benefits. It is soothing to the gallbladder however and many people benefit from using it in a gallbladder prevention protocol. But back to the enzyme problem, even the people who have the enzymes don’t have a lot, so sometimes only 10 – 20% of the ALA consumed is turned into EPA and DHA. Women may have an easier time making this conversion however Flax is not recommended with bio-identical hormone use as it interferes with the BHRT’s ability to fill hormone receptors. So basically, you need a lot more flaxseed oil than fish oil to see the omega 3 benefits to your health. You probably need about six flaxseed oil capsules to get the same amount of DHA and EPA as you would with one or two fish oil capsule. This source is recommended only if you are a strict vegan. The vast majority of plant-based oils are in the form of Omega-6 fatty acids, which are already over-supplied in our diets. flaxseed and a few other seeds, such as Chia, AKA Salba and nuts also contain the Omega-3 alpha-linolenic acid (ALA). ALA has beneficial effects of its own, particularly on skin and hair but since I like to keep our companion animals in the mix when I discuss what is good for us it is important to note that when it comes to Flax for our dogs and cats, they cannot convert more than 1-2% of it into EPA and DHA (the essential fatty acids that are so important for us and our pets. The argument will create the divide in this discussion between the vegans, the veggies and omnivores. The bulk of the research available tells us that the available forms of the most important Omega-3s must be obtained from an animal source, such as marine lipids. I will show you as we go on how the greenlip mussels might be an acceptable alternative for vegetarians for their Omega-3 needs. But it is imperative for dogs and cats to have a marine lipid source of Omega 3s added to their diet to ramp down chronic inflammation. The greenlip mussel oil that I will be discussing is brilliant for our pets and we can give them the same supplement that we humans take. The Big Fish Oil/Omega 3 Buzz and from whence it came! Let’s take a historical look at where the Big Fish Oil/Omega-3 buzz got started. I know we will lose our vegan and vegetarian friends at this point but I do thank you for stopping by. We who are conscious omnivores know and respect that a living thing is used or sacrificed to make Omega-3 marine lipids but that is after all what this article is about and it is about the choice to follow your own belief systems and include the foods and supplements we deem appropriate in our own daily diet. Perhaps both philosophies can agree to respect each others points of view and leave it at that and let those who wish to consider these options do so without bringing animal cruelty or in this case cruelty to bi-valve mollusks, into question. The people in Sweden, Denmark, Norway and Finland have credited their hardiness to a diet high in cold water fish and fish oil for years. Studies from all around the world, especially with the Eskimos of Greenland have revealed that the health benefits of fish oil come from two omega-3 fatty acids EPA and DHA. As kids most of us heard cold water fish often referred to as brain food. These two well known healthy Omega-3s, EPA and DHA were the first two Omega 3’s to be discovered by scientists and are found in the fatty tissue of the fish consumed in great quantities by the Eskimos who took part in one of the many studies. Despite the growing amount of evidence that the omega-3 fatty acids in cold water fish are highly touted to contain myriad of health benefits, Americans and some folks from other parts of the world still won’t and don’t include enough fish in their daily diets to get the benefits that those that do consume these fatty fish have had. Fish and chips don’t count! One of the big reasons that doctors warn pregnant women away from fish and the rest of us too is their concern about contaminants, especially mercury and PCBs (polychlorinated biphenyls) in many types of fish. The number is growing rapidly and the farm raised fish craze is causing a worldwide disaster, rivaling GMO’s. Consequently, more people the world over are buying fish oil supplements and of course we see them now on shelves and on website every where. Every health website today touts one or two, Omega-3s, every supplement maker and high profile doctor have their own private label sources, on their website, in their clinics or you’ll find fish or krill oil in retail and Big Box stores all over the world. Even mainstream doctors without much nutritional knowledge (which most admit they don’t have) are increasingly recommending fish oil to their patients. Some are discerning and send you after a specific brand and some say just buy whatever Costco sells..it’s cheap! Sorry folks ain’t no such thing as cheap when it comes to putting oils in our bodies. Most people put better oil in their cars then they do in their bodies which cannot be replaced when a new model comes out! Almost all the fish oil used for supplements comes from fish caught off the coast of South America. This fish is then shipped to refining facilities in Norway and Canada where it is typically subjected to high temperatures or chemical solvents during processing. In fact, even though most fish oil supplements are supposed to be ‘natural,’ they are just as processed and refined as the vegetable oils we find in the supermarket. And it is these vegetable oils that even someone who is only moderately savvy in nutrition will agree are the ‘bad guys’ in fatty acid land! The quality of the fish oil supplement begins with the quality of the raw materials used. Although salmon is one of the most popular sources of omega-3 EFAs, cod, sardines, krill, anchovies, and the unconscionable netting of feeder and forage fish, such as Menhayden are often used instead. Do keep in mind that most salmon oil (and all salmon products from the Atlantic Ocean, Scotland, and Norway) comes primarily from farm-raised salmon. These fish are grown in polluted, overcrowded pens; they are heavily vaccinated, and fed antifungals, parasiticides, and antibiotics; and they contain up to 10 times more mercury, dioxins, PCBs, and other toxins than wild fish. Farmed salmon also pose a serious threat to wild species in both the Atlantic and Pacific oceans. Additionally, about 1/3 of labeled “Alaska,” “wild,” and “wild-caught” salmon are not truly wild, but bred and raised in hatcheries; their release to the ocean appears to be threatening both wild salmon and other fish such as herring. Cod liver oil is commonly supplemented with Vitamins A and D, at levels that could easily become toxic especially when given to our cats and dogs which many vets recommend. Moreover, a loophole in the law allows non-cod species to be labeled as cod. There are also oils made from other fish, such as Menhaden (a threatened keystone species, and the source of most unspecified “fish oil”). In order to keep the raw material costs down, most companies don’t use the whole fish. 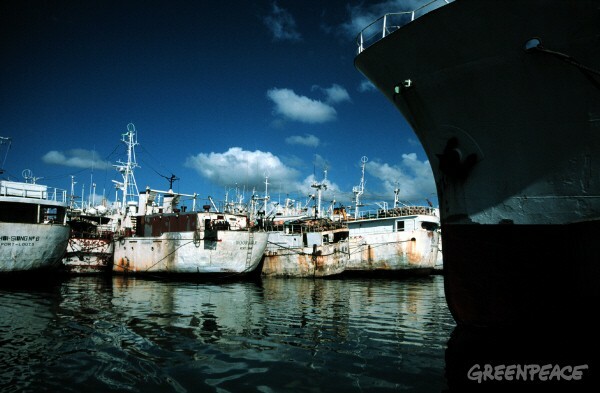 Instead, they use the skin, bones, and other waste generated when these fish are processed. Getting the omega–3 rich oil out of these bits of fish can be accomplished in several ways. First, the proteins in the fish are denatured! Yuck..what does that mean? It means precisely that heating the fish to at least 200 degrees for 30 minutes changes the proteins’ chemical structure. These bits of fish are then put into presses to extract the oil. Once the oil has been pulled out of the fish bits, it must be bleached, deodorized, or purified to make it palatable. To bleach fish oil the manufacturers use bleaching clays. Removing the fishy smell requires deodorizing the fish by injecting extremely hot steam into the oil. Finally the fish oil is poured through activated charcoal to get rid of contaminants like mercury, PCBs, and dioxins. The less the fish oil smells like fish, the more processed it was! One might think that simply pressing, bleaching, deodorizing, and purifying fish oil using the previously mentioned harsh methods would be all that was required to make a fish oil product that could be bottled or put into capsules and sold to the public, but oh no, not true at all. Many companies have taken additional steps through the wonders of chemistry when they process their fish oil.There is a process known as ‘fractionation and concentration’ that not only purifies the fish oil; it also artificially increases the percentage of DHA and EPA. Huh? You thought those high milligram values on the label were a good thing, right? The problem is that this process requires the use of harsh chemical solvents that can leave a residue in the finished fish oil product. Another process, ‘cryoconcentration,’ involves freezing the fish oil for 24 hours at more than minus 100 degrees. The result is freeze-dried, crystallized fish oil that has up to 2.5 times more DHA and EPA, however chemicals must be used to crate these frozen fatty acid crystals. How could we ever call that, a natural supplement? What about Pharmaceutical Grade fish oil? There is no such thing as pharmaceutical grade fish oil because fish oil is not a pharmaceutical drug so how can you make a pharmaceutical out of fish oil? That is just advertising spin and hype which is what the fish oil drug Lovaza is all about! Moving on down fish oils yellow brick road, we have chemicals being used in another method: urea complexion. This process is quite similar to the way soap is made. An alkali, sodium, is combined with alcohol and used to separate sterols and fat-soluble vitamins from the fish oil. The fatty acids are then dissolved in a mixture of alcohol and urea (antiseptic) and cooled to concentrate the DHA and EPA content. Even though this method can boost levels to three times the original concentration, it can also leave a residue in the fish oil, which must be re-treated to remove the chemicals. Of course, chemicals aren’t the only way to separate the fatty acids. What is molecular distillation? This is a term we all see thrown around on labels but what does it mean..it looks like a wonderful method? Not! Molecular distillation is a process that heats the oil to about 480 degrees in a low-pressure vacuum for six hours so that the condensed vapors can be captured. Under these conditions, the DHA and EPA aren’t very well protected against oxidation, and harmful trans fats can form. Also this high pressure steam distillation method, which as I mentioned obviously denatures the product, also changes the natural chemical structure to a less easily absorbed triglyceride form of fish oil. Further, the raw material is more often than not contaminated with heavy metal toxins or oxidized EFA’s caused by the high temperature extraction techniques. Just to get this product this far is a costly procedure so to stretch it they usually load what most of us have referred to as horse capsules with just a bit of this concentrated sludge, they now call Omega 3 and then use filler oils to fill the rest of the capsule. Usually some inexpensive grade of olive oil and some vitamin E are the fillers of choice, but they can be other oils as well such as Hoki fish oil and flax. 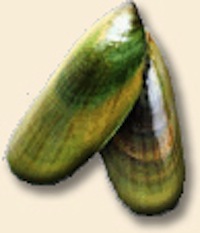 Some will even use other supplements as fillers such as astaxanthin or curcurmin which are not needed at all with greenlip mussel oil because these GLM which you will learn about next eat only phytplancton which is rich carotenoids such as astaxathin so therefore when added they just take up room in the capsule that should have been occupied by the Omega-3. The biggest problem these fish oil manufacturers or any oil manufacturer deals with is rancidity. Were we not taking fish oil to help reduce oxidative stress? 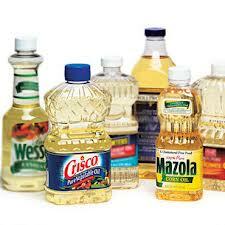 Rancid oils are about the worst thing I can think of in a healthy life style regime to put into your body. Enter the Greenlip Mussel ~ A True Omega-3 Star is Born (only they don’t have a big press agent or advertising agency representing them! GLM are raised in their wild natural environment in the most pristine waters on the planet; New Zealand’s Marlborough sounds region! You see there is a very new proprietary, stabilized natural marine lipid oil from the New Zealand, Greenlip mussel, which looks like a regular bi-valve mussel, basically a shell fish or mollusk, only in this case the mussel shell is decidedly emerald green around the edges of the shell or lips! GLM contains a unique array of marine lipids (fats) or fat groups containing many polyunsaturated fatty acids (PUFAs). These PUFAs, which include Omega-3s and some eicosatetraenoic acids (ETAs), (that’s the one you probably never heard of because they don’t have the ‘Mad Men’ being paid millions t market them), which have been shown to be extremely powerful anti-inflammatory compounds that are particularly effective (158 to 200 times more effective especially regarding arthritis as per, The Inflammation Revolution. by Georges Halpern). Many other inflammatory conditions benefit immensely and are also covered in detail in Dr. Halpern’s book. It takes the efforts of a team of ‘Mad Men’ to get that on the Big News at 6 pm but then let’s face it they run TV commercials, ad nausem from drug companies who profit in their sale! Big advertising budgets have to come from some place..guess where..usually from what goes into the product..hence the use of dicey fillers and excipients like cellulose and magnesium stearate and all the other filler they like to make you think are good to have in there but in point of fact are fillers, too! Why is the Greenlip Mussel lipid oil so effective? To answer that question we need to look to the fact that it is a purer product than any fish oil because the green-lipped mussels live and grow in such a sheltered and protected environment in what is called the Marlborough Sounds region of New Zealand. The New Zealand environment is ideally suited for contaminate-free aqua farming (in fact the water they are grown in is tested every 15 minutes by a NZ government official and this kind of control and pristine purity isn’t possible in ocean waters anywhere else. The dolphins play in these very waters! So whilst other companies have to go to extreme measures to purify their product MOXXOR starts out with sushi grade, yes we eat them raw greenlip mussels to begin with. The lipids found in the Greenlip mussel are especially rich and efficacious due to a combination of the mussels’ genetics and their food – tiny organisms called microplankton, AKA phytoplankton. The Greenlip mussels are about as low on the food chain as you can find. 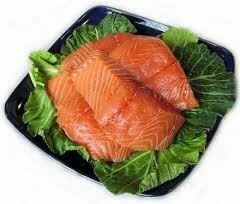 Salmon, cod and other large fish are carnivore fish. They are the fish that eat the fish that ate the mercury laden fish and the rest of the toxic load from our oceans today which torments them due to the reckless fishing industry and other major ecological offenders! Herein lies another problem with traditional fish oil supplements because the amount that must be taken to experience any benefit is really quite large. HOWEVER, because of the greenlip mussel’s ability to be 100% bioavailable, it is 158 to 200 times more effective than any other omega-3 oils on the market. These Omega-3s are of such a high concentration and natural balance that it is on average 247 times more effective then salmon oil. That means you only need to take two tiny capsules to equal more than that whole jar of fish oil you have on your shelf and these two capsules contain all 18 Omega 3’s, known to man, which are not found in anything else. And you thought your fish oil was such a bargain and you now know you were really paying for filled capsules. Omega 6 Oils vs Omega 3 Oils ~ Yin and Yang ~ Balance in all things is everything! We always hear how great the Mediterranean diet is but would you believe that even that amazing diet comes up a bit low in the amount of Omega 3 EFAs one can get from it? We need an ideal ration of 1 to 1 Omega 3 to Omega 6. Omega 3 EFA’s are anti-inflammatory and basically Omega-6 EFAs are pro-inflammatory as is STRESS. Nearly everything we and our companion animals eat is high in Omega-6, such as vegetable oils, grains such as wheat, corn and and from soy products, grain fed meat (CAFCO), chicken, farm raised fish, eggs, dairy, peanuts and peanut butter, white sugar and junk foods. Throw stress into the mix and you have a pro-inflammatory lifestyle. How much Omega-3 foods and supplements you consume is directly dependant on how much Omega-6 foods and oils you consume. If you see an oil listed on your EFA supplement jar that reads Omega-6 just put it back. You do not have a deficiency in Omega-6. But I am willing to bet you and your dogs and cats and human children have a deficiency to the tune of precisely what Dr. Oz found when he researched this matter for his show last year that most people are most likely to be 30 Omega 6 to one Omega-3 and this is a recipe for chronic as well as serious and catastrophic disease. Those diseases can be recognized by ending in something like ‘itis.’ Arthritis being the most popular but diabetes is an ‘itis’ disease as well, because every disease begins with chronic inflammation AND oxidative stress along with impaired microcirculation. The lipid oil from greenlip mussel’s is the ultimate natural compound for the control of leukotrienes (chemicals produced within the body that are responsible for initiating and extending the inflammatory process throughout the body. They develop through the lipoxygenase (LOX) pathway). Greenlip mussel lipids can inhibit both the LOX and COX (the cyclo-oxygenase pathway.) The COX2 pathway produces other inflammatory substances called prostaglandins and thromboxanes. When either or both of these pathways malfunctions producing excessive leukotrienes, prostoglandins or thromboxanes you will know it because you will wake up in the morning in pain or could also be stuffed up and wheezing with asthma. To make a very long scientific story short there is a substance available that can inhibit both the COX2 and LOX pathways due to an impressive variety of active compounds, including over 10 different naturally occurring marine sterols and over 33 different fatty acids, 18 of which are Omega-3s, that all work synergistically together. This naturally occurring combination of PUFA’s is not found in any fish oils, or anywhere else in nature in any measurable degree. Why don’t we hear about the Greenlip mussel when Omega-3’s are discussed? Like I said, the Greenlip mussel industry doesn’t have a press agent type machine being paid to market it like the mega supplement companies who can afford to hire Madison Avenue to advertise it. Nor can they afford the mega millions to engage in huge long term double blind placebo tests. But guess how these big companies do afford to advertise and spend all that money on a food supplement to test to it? By taking funds that should be going into the quality of the product and diverting them to advertising and expensive spokespeople. Sometimes even big stars! Therefore they use fillers to the extent of at least 50% to make room for the advertising budget and the minimum of a 100% mark up that the wholesale to retail market requires to make a profit on its last leg before it gets to you the consumer. The companies offering their greenlip mussel products to market are small and usually marketed through a network of independent distributors who make a small commission unless they have a huge base of clients to work with. If these Greenlip mussel supplement makers had big bucks to market then you would already know about the very unique ETA Omega 3s that they contain and already know that they are superior to fish and flax oil. This particular Omega 3 fatty acid that I am referring to above is called ETA (eicosatetraenoic acid), which is virtually identical to arachidonic acid, and this is thought to fool our body’s systems that they are bonding with arachidonic acid, which means that leukotrienies are not produced by our body to the same extent. One of my sources for information for this blog is an excellent book all about the greenlip mussel of New Zealand and the studies that have been done and the breakthroughs for various serious health conditions with its use and it is entitled, The Inflammation Revolution, A Natural Solution for Arthritis, Asthma & Other Inflammatory Disorders,” by George M. Halpern MD, Ph.D and in it there is a lot of fascinating science and testing done on these very low profile Omega-3s from the Greenlip mussels! I have found recently that they are of great benefit to women through all life stages and I highly recommend them for menstruating women as well as menopausal and post menopausal women. These little GLM keep a low profile without mega $$$ to advertise them except in New Zealand where they are renowned for their health giving benefits! There is some special research on Greenlip mussels that needs to be shared which includes one of the biggest break out pieces of news about this unique marine lipid and that is when interacting with the COX pathways it does not suppress the COX-1 pathway, which is responsible for mucus linings, and therefore eliminates many of the unwanted effects of suppressing the COX pathway which fish oil can interfere with. Another reason that causes fish oil to pale in the presence of our little known star (again no press agent) Greenlip mussel oil, is that fish, salmon, cod liver or krill oil do not contain any of the ETA family of Omega-3′s, which have been shown to have the most powerful anti-inflammatory effect in both invivo and invitro trials. The other difference of note between fish oil and Greenlip mussel oil is that fish oil will thin the blood and also affect blood clotting, which can be dangerous. Whereas Greenlip mussel oil will thin the blood in a healthy way, but will not affect blood clotting. The reason for this is that greenlip mussel oil does not interact with prothrombin, a clotting agent, which is made in the liver, but does interact with thromboxane which is made within the COX-2 pathway. This can be hugely significant for anyone facing surgery. It is important to note that the Greenlip mussel oil does not contain protein or carbohydrates and so therefore is said to present no allergic reactions from those with seafood or shellfish allergies. Always check with your doctor first, however. Print out this post for him/her to provide a good understanding of how this marine lipid differs from fish oil. What is Moxxor mussel oil and why is it said to be superior to other Greenlip mussel oil/powder supplements on the market today? I must at this point talk about a specific brand as it does not have an equal. Because Moxxor brand is the latest incarnation of the Greenlip mussel oil nutraceutical developed by one of the pioneers in the global Greenlip mussel oil industry, John Turner supplied the greenlip mussels to gourmet chefs the world over. He was intent on finding a way to recreate and offer to the global arena that which made the Greenlip mussel so healing in the first place. 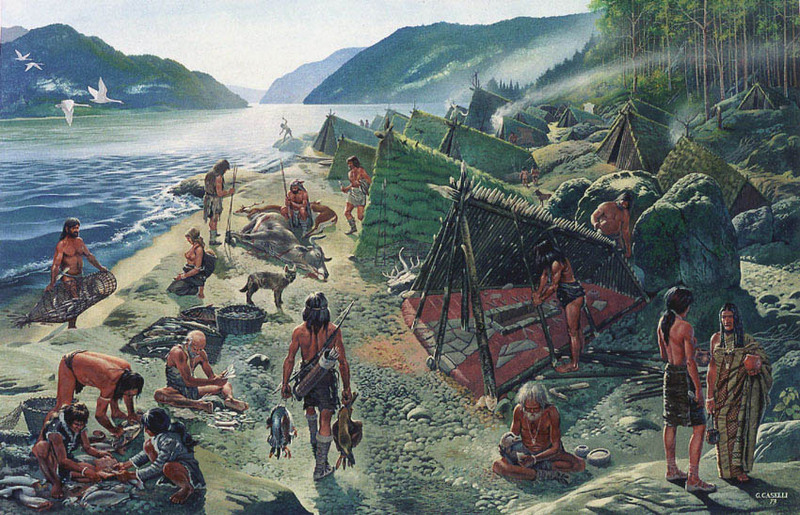 And that was the fact that the indigenous coastal Maori people of New Zealand for over 1,000 years ate and continue to eat the greenlip mussels raw and as a result it was found, did not suffer from the inflammatory processes such as arthritis that the Westerner’s who arrived were plagued with. Diseases today have their roots in oxidative stress which causes inflammation and therefore a natural anti-inflammatory is what we all need to look for to accomplish in all aspects of wellness. An anti-inflammatory is a substance that counteracts or suppresses inflammation. Swelling, pain and redness are signs of inflammation. There are two types of anti-inflammatory drugs: steroids such as cortisone, and non-steroidal agents, such as aspirin. An antioxidant is a substance that neutralizes free radicals that damage the cells and tissues of the body. You often hear it described as something like rust! The Maori’s were eating a natural anti-inflammatory and antioxidant food and they did this with such devotion that these little mollusks were thought to have magical healing properties and you know what? They were right– as this was corroborated by the very intrigued scientists from the UK, Australia, Austria and Japan! The quest to makes supplements began around 37 years ago. Greenlip mussels are a well known food in New Zealand and those that eat them raw reap huge benefits (you can of course cook them but you will lose the nutraceutical benefit of the marine lipid oil, just like all that processing I referred to earlier does to any seafood like the fish bits they do all that nasty business I shared above in order to make fish oil/krill and other Omega-3 marine lipid supplements. It just goes to prove that those that get this local delicacy are indeed fortunate because the rest of us the world over are not so lucky and therefore we have thought all these years we had no choice but to eat salmon 3 times a day or to take highly processed fish oil from not sustainable or eco friendly sources to just barely keep up with our bodies need for Omega-3 which our body does not produce for us. I think by now you must have gleaned that fish oil is about as far from an eco friendly, natural choice for Omega-3’s as you can get AND of course is not sustainable (just look at the condition of our oceans as a result of over fishing and polluting our seas in the process in order for the greedy fish oil people to create their market and stay in business. 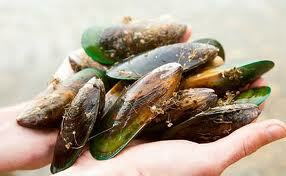 However the greenlip mussel is a 100% organic, sustainable resource and about as low as you can go on the food chain. Many vegetarians will take the Moxxor supplement but certainly would not take fish oil. I must add that Moxxor does come in a tiny bovine gelatin capsule however this gelatin comes from grass fed New Zealand naturally raised beef. It’s very easy to use with dogs, cats and horses too who despite their size and weight, only need 2 tiny capsules a day. Dogs 40 pounds or less get one per day + an additional capsule for over 40 pounds. Cats get one per day but do well on 3 per week after a good 90 day loading dose. The brand name Moxxor is a supplement which stands alone so I cannot tell you to go out and purchase a greenlip mussel supplement on line or in a store without sharing this specific product with you because there are some major differences you need to be made aware of as a consumer to separate the spin from reality in the way MOXXOR’s scientists extract the oil from the raw mussel meat. Others may sound like Moxxor but they are NOT. They differ hugely from other manufacturers according to my investigative research because the Moxxor proprietary technique, and the knowledge, and expertise to get to this point has been learned and accumulated from over 3 decades in the business in extracting the full combination of lipids and sterols, while at the same time protecting the extracted lipids from degradation. As discussed earlier, it is the level of the unique fatty acids not found in fish oil, or any other shellfish oil, that is very important; and this process allows for up to 48% more of those rare and valuable array of ETAs to be present in the finished product than much of the other mussel oil that is available on line today. Further, the Moxxor process and this is what attracted me to this product in particular is I am a bit of a raw food enthusiast as much as possible and the low pressure and low temperature process that allows MOXXOR to remove all the polar as well as the non-polar lipids was very exciting to me. This cannot be the case when using the common carbon dioxide super-critical extraction process that most of the competing GLM manufacturers utilize today. It’s kind of like comparing a typewriter to a brand new sleek MAC computer. Another thing that I love about Moxxor and why I recommend it is that they use white sauvignon blanc grape seed husk extract as their natural preservative which also gives it an antioxidant boost and kiwifruit seed oil for all 8 natural forms of Vitamin E. These are the only ingredients in Moxxor whilst the other brands use olive oil as previously mentioned, at a ratio of 50 mg’s of mussel oil to 150 mg’s of what the other companies refer to as pharmaceutical grade olive oil again I say…what? It doesn’t sound like extra virgin to me and they use some dubious source of Vitamin which is usually a synthetic. The Moxxor proprietary formula resonates with me as does the fact that all ingredients are organic, all come from New Zealand and the marine lipids are what is referred to today as being cold extracted and the Sauvignon Blanc Grape seed husk extract and kiwifruit seed oil are organic and cold pressed. Two other things are of interest and that is the unique climate conditions in New Zealand because of intense ozone there this causes that which grows there to be very high in antioxidants including the phytoplankton the GLM consume which renders the GLM to be a rich source of cartenoids, the one carotenoid we hear so much buzz about is astaxanthin but it is just one of the many carotenoids that the GLM are very well supplied with! So again when you buy the buzz of astaxanthin remember that it what it is..one of the many carotenoids found in phytoplankton and that is what the greenlip mussel of New Zealand process so perfectly for us to consume through them. The other thing that Moxxor impressed me with is the state of the art plant they have right nearby in Havelock, NZ (South Island) close to where the Moxxor’s own mussels are grown in their wild environment. They are harvested at 18 months of age, chilled to less than 4 degrees after which they begin their journey to encapsulation making this the freshest and purest product I have ever found! MOXXOR is the dream product I hoped for… for 20 years. It always bothered me that fish and or cod liver oil was treated with high heat. We all know what boiling oil is like…grease! All that we have discussed here means Moxxor is more bio-reactive in its natural phospholipids form than all other oils on the market and therefore more readily recognized by our body’s systems as food than an adulterated form of the marine lipid. My husband Nazim and I were so impressed from taking the product ourselves, sharing it with our friends, clients and families, giving it to our companion cats and seeing how well we all did with Moxxor that we became distributors and I was invited to join the Moxxor Holistic Advisory Board, which I gladly serve on without compensation. I am honored to share the MOXXOR story with you and I hope you will share it with others that you care about. 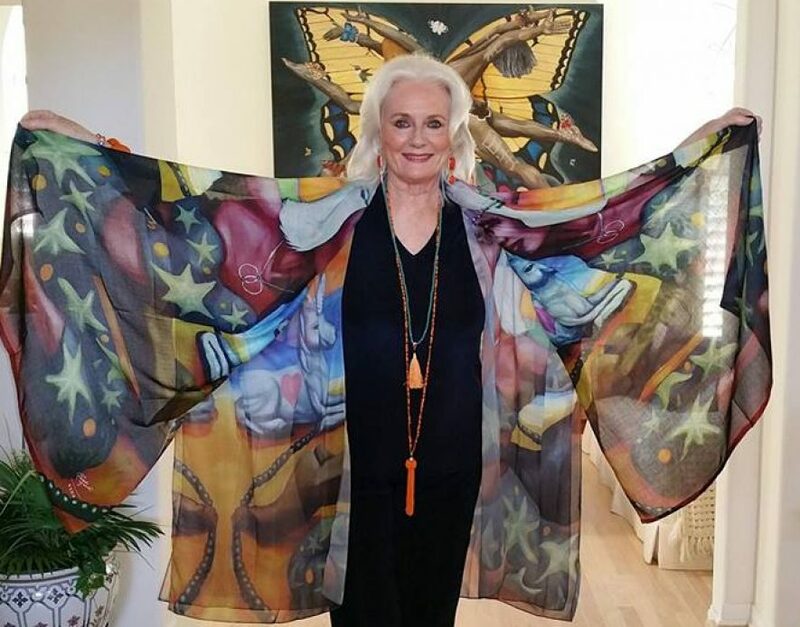 My writing partner on my award winning book, The Complete Guide to Holistic Cat Care, Jean Hofve, DVM had the same experience I did and she joined the Moxxor Veterinary Board. All our board members serve as I do for free and whilst it is true as distributors we will make a small commission, if you purchase the product we pin our colors to the mast and display them with respect for this ‘conscious commerce’ all green/eco friendly company and are honored to be a part of it. In that spirit MOXXOR donates from our proceeds to a charity set up to benefit women and children around the world.